Foi anunciada hoje esta release de Christian Toonk, pela Clinical Archives. Composta por 4 faixas é um excelente exercício de modulação pura, sem recorrer a efeitos. "A clean and uncompromising soundtrack that represents just modulation, no fxís added. These 4 tracks are created solely by modifying the envelope of modulating frequencies, creating glimmering patterns. 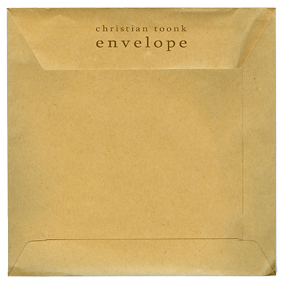 Christian Toonk  is a sound artist from the Netherlands. Inspired by sound phenomena and sound theory in general, Toonk uses digital techniques in order to create tonal improvisations. The sounds are assembled from custom made software, based on feedback processes and sine wave manipulation."